The EA creates an order grid using labels. Opening and closing of the grid is done either automatically by the system signals or manually. In the same grid can be both Limit and Stop orders. It is possible to reverse the grid on specified condition. You can enter the breakdown/rebound from established levels. All types of Sell limit, Buy limit, Buy stop, Sell stop orders are supported. The grid is rebuilt with a single click. 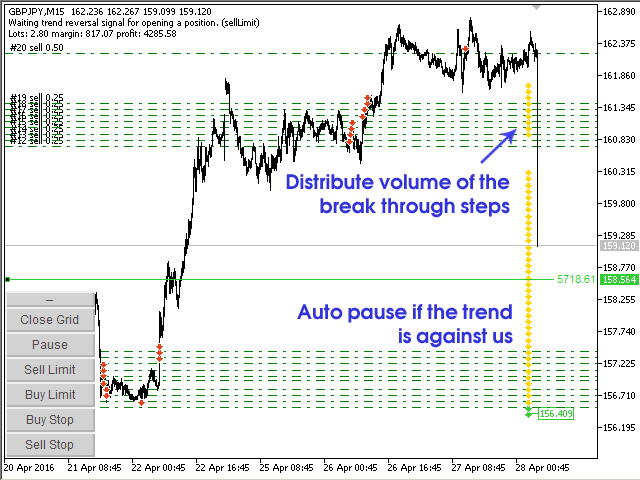 The stop loss and take profit lines can be easily modified. 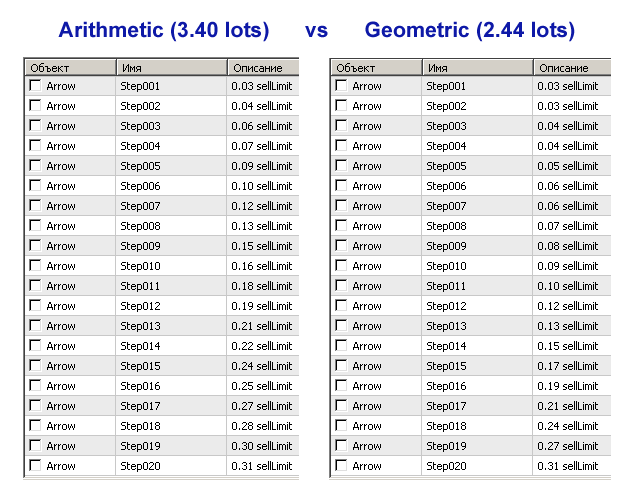 You are free to close/open the manual grid orders (fixed partial profit/loss). Restart the EA again, the grid and odrers will be determined by the EA. Run two or three EA in different directions, at different or same symbols (with different magic numbers). Move the label, rearrange them, delete, change volume or color (a Color of labels (OFF) to the Color of labels (ON) — restore step). Only a first step cannot be removed manually (Step001). The steps of the entire grid can be viewed in the Objects window ('Ctrl+b' key combination). Also, the information on the current operation of the EA is displayed in the top left corner. You can configure the method of closing positions - FIFO / LIFO. The EA is bilingual, it automatically detects the English and Russian languages. – / + — minimize and maximize the menu buttons. Close Grid — close the current grid. If `Pause` is pressed, the button does not work. Pause — EA is set to standby mode, no action is performed. Sell Limit — plot sell limit grid, if there currently is no grid with open real orders and if the `Pause` button is not pressed. Buy Limit — same for buy limit. Buy Stop — same for buy stop. Sell Stop — same for sell stop. The main parameters of the EA. Manual Manual only (without Signals) - only manual building, without using signals. 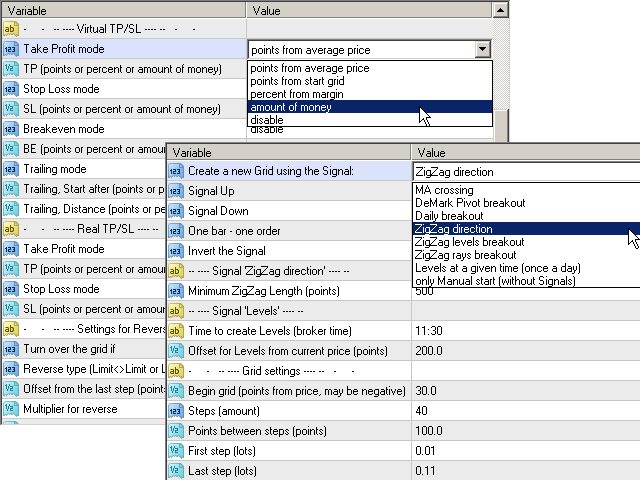 Modes for calculating TP / SL / BE / Trailing. 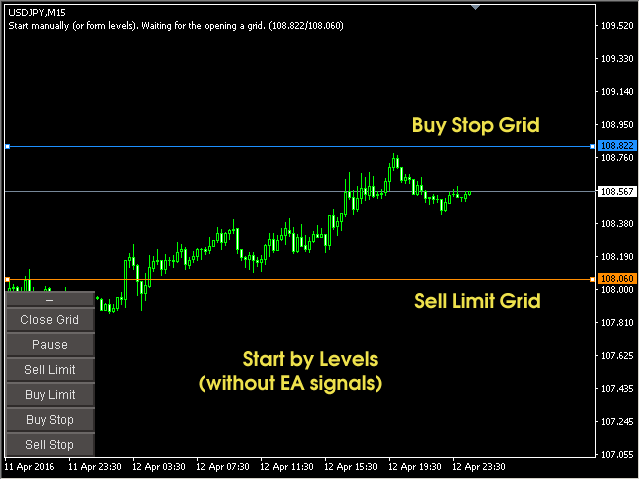 This Expert Advisor uses graphical objects for grid building and trading, so it may not work properly if it is launched without a chart. 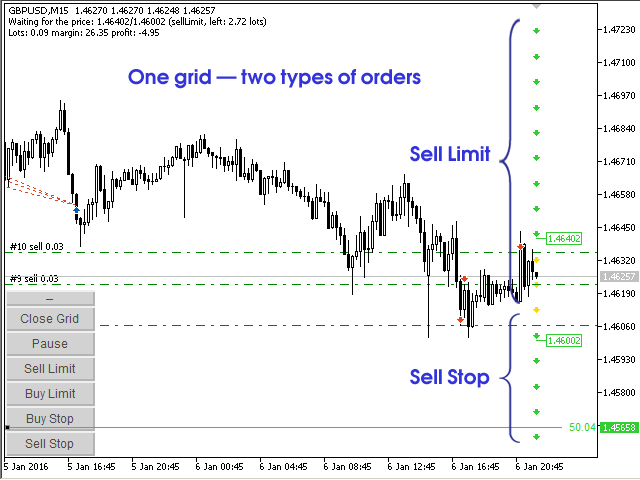 Easy Grider 3.3 works great on MT5. 1) Now, in the "points from start grid" mode, virtual TP and SL are installed only in the first step. In the next steps, these levels do not change. 1) Fixed filling mode error. 1) Added various signals to enter the market. 2) Added modes for calculating TP / SL. 3) Other improvements and code optimization.